Bespoke products are products that have been manufactured specifically for the customer in any way, whether with the customer’s bespoke label, recipe, colour, design or any other aspect of the product. We are unable to offer refunds or exchanges for any products which have been specifically made to order which are not damaged or faulty. Products that are deemed damaged or faulty on receipt of the delivery by the customer will be replaced where possible, or refunded, in accordance with the consumers’ statutory rights. If you change your mind and wish to cancel your order, please contact us within 12 hours of purchase, quoting your order reference number. We are unable to cancel orders once they have been despatched, however if you wish to cancel your order & it has not yet been dispatched, we will be happy to cancel your order & refund your payment. Bespoke items cannot be returned or exchanged. If your goods have been despatched, we can arrange for your order to be returned via our Returns Policy. 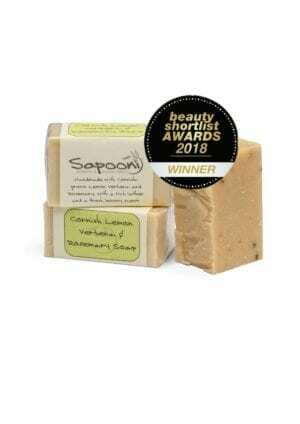 All Sapooni Ltd products have been fully certified by a qualified person and are sold in compliance with all current legislation including Cosmetics Products (Safety) Regulations 2004 and as amended in 2013 for the UK and EU. We are members of The Guild of Craft Soap & Toiletry Makers. We are also members of the Made in Cornwall accreditation scheme overseen by Cornwall County Council’s Trading Standards. All products are for external use only and are not suitable for children under 3 years old. All text, images and content in this website, and other material printed or published on behalf of Sapooni ltd shall remain the property of Sapooni Ltd under UK Copyright laws. *To inform you of any changes to our website, services or products. Sapooni does not sell or pass customer’s e-mail addresses or other details to other parties, nor do we bombard our customers with endless e-mails and leaflets. If you order from us, we may contact you about your order and we may, on occasion, e-mail or write to you with information about our products, news and special offers. If you would prefer not to hear from us, please let us know. Buyers are responsible for any customs and import taxes that may apply. Sapooni is not responsible for delays due to customs. Please inspect your order for damage on delivery and before signing for it, and notify us of any damaged goods. A photograph of the damage would also be helpful. You must contact us within 3 working days of delivery, quoting your order reference number. If your goods are damaged when you receive them, we may ask that they be returned to Sapooni Ltd. and we will reimburse the cost of returning the goods. (standard second class delivery). We will endeavour to replace the goods within 14 working days, but if for whatever reason we are unable to do this, we will refund the purchase price in full within 14 working days. Please note that damaged goods returned to us must be unopened, unused and in their original packaging. Sapooni Ltd. will not be responsible for any loss of items occurred during return transit. Sapooni Ltd. will delivery all orders via Royal Mail 2nd class postage or similar. Our flat rate standard delivery charge to UK Mainland, Northern Ireland, Isle of Man, Isle of Wight and the Scilly Isles is £2.95. All orders over £25 will be delivered to these same areas, free of charge. For deliveries within the EU including the Channel Islands, delivery is £16.50 (Royal Mail Tracked & Signed). Please note there is a 2kg weight restriction; for larger orders, we will contact you to advise on the delivery charge. For orders outside the UK and EU, please contact us for a delivery quote. Sapooni Ltd. reserves the right to cancel or make part delivery on orders without prior notice, in which case Sapooni will notify the customer in writing. Sapooni will not be responsible for any loss or damage arising from such a cancellation. 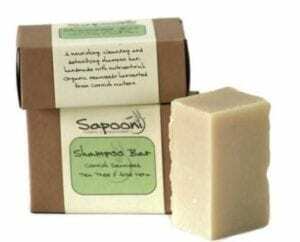 Due to the hand-made nature of the products manufactured and supplied by Sapooni Ltd., lead times may vary according to the product ordered. We will endeavour to ship all orders within 3 working days, but the lead time may be longer during peak periods. Lead time for bespoke products will be significantly longer, you will be advised of this at the time of ordering. Sapooni Ltd. will not be liable for any loss or damage, either direct or indirect, arising as a result of the supply, delivery or non-delivery of goods, or of goods lost in transit, to the property of the purchaser or any third party. Any orders placed via the website, phone or other electronic means will be accepted as verified by you, the customer. All goods must be paid for in full at the time of ordering. Payment is accepted through the website via Paypal, Visa, Visa Credit or Mastercard. All orders will be processed as soon as payment has been confirmed. All prices are quoted in Pounds sterling. Prices are subject to change from time to time. All dimensions are quoted in Millilitres. All weights are quoted in Grams. VAT is not chargeable. Any product samples we may provide to you are for personal use only. You may not sell or re-sell any of the product samples you receive from us. Please bear in mind that our handmade products are genuinely hand-made in small volumes so you may encounter some variation in colour, texture, scent or wrapping between batches or orders. Products may vary from how they are pictured on this site or in any other marketing materials. If you do have any problems or queries, please let us know. We attempt to be as accurate as possible when describing products on the website; however, to the extent permitted by applicable law, we do not warrant that product descriptions on the website are accurate, complete, reliable, current, or error-free. If you change your mind and would like to return your products, that’s fine; simply contact us within 7 days, quoting your order reference number. Goods must be returned to us unused, in their original packaging, and undamaged, within 14 days of receipt. If the item is not returned in its original condition, the buyer is responsible for any loss in value. We cannot accept responsibility for loss or damage occurred to items during return transit. Buyers are responsible for return shipping costs. Our skincare products have a minimum shelf life of 6 months from date of manufacture, and our soaps have a minimum shelf life of 18 months providing they are kept cool and dry. Please do not store any of our products in direct sunlight or close to a heat source as this will significantly shorten the shelf life and effectiveness of the ingredients. All goods remain the property of Sapooni Ltd. until full payment for said goods has been received by Sapooni Ltd. If you are a Trade customer, please contact us for a copy of our Trade Terms And Conditions, including Bespoke Orders and Delivery. All content available on the Website, including, but not limited to, text, graphics, logos, button icons, images, data compilations, and software, and the compilation thereof (the “Content”) is the property of Sapooni Ltd, our affiliates, our partners or our licensors, and is protected by UK and international copyright laws. Nothing may not reproduced in whole or part by electronic means or in print without the prior written permission of the company. The terms and conditions outlined are effective as of 01/02/2019. They supersede all previously published Terms and Conditions. These conditions take precedence over any other published terms and conditions unless expressly agreed by us in writing. 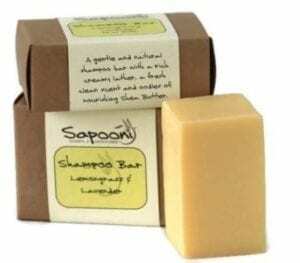 Sapooni Ltd, trading as Sapooni Soaps & Skincare, and Kernow Candles, is owned and managed by Andrea & Stephen Butcher. All images and text are copyrighted. Sapooni Ltd is registered within the UK to manufacture and sell cosmetics in and out of the UK.